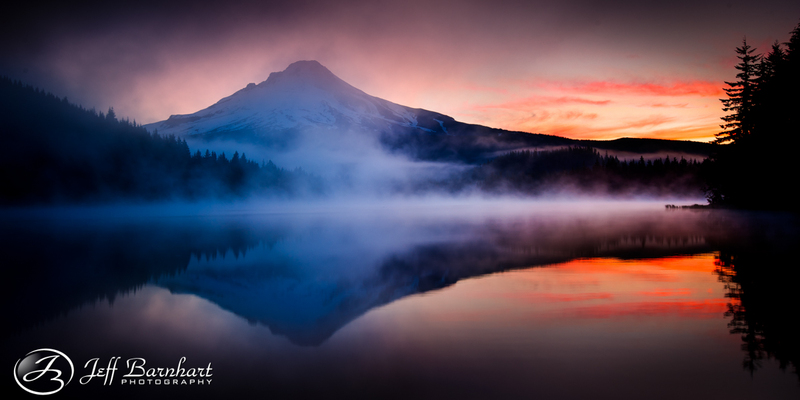 Jeff Barnhart Photography Blog - Welcome to Spring! 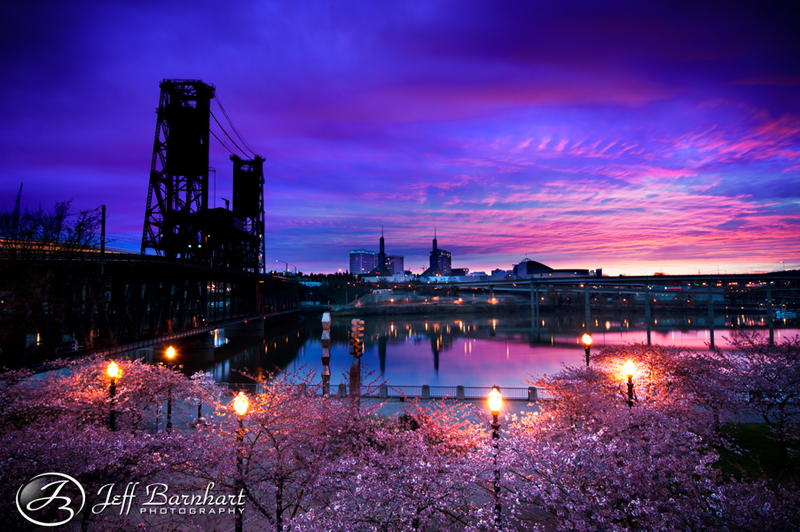 Although, technically these shots were taken in the winter, I kicked off the spring photography season in the heart of Portland! Walking up to this famous row of beautiful Cherry Blossoms in bloom with hopes of capturing something magical fills me with excitement. I already knew the scene I wanted to shoot, so I found a good starting point, and got all setup. 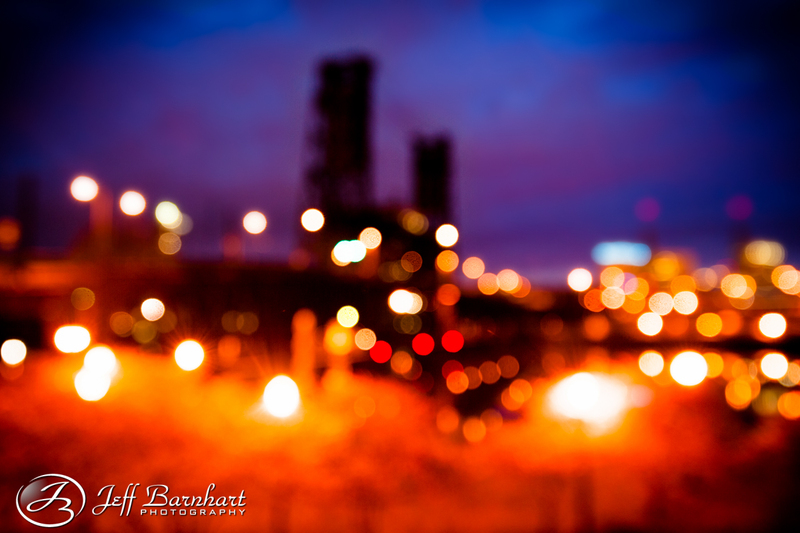 When I looked through the lens to get my composition, I noticed it was wonderfully out of focus, and it reminded me of a photo my friend Melissa Lund Photography took of the Portland skyline, so I took this shot. Thanks for the inspiration Melissa! It had been years since I’d seen the water of the Willamette River as still as it was this morning, and the last time it was only still for a few minutes before a boat drove by. It would remain still for the entirety of my shoot, and to my surprise I would even have the perspective I wanted all to myself. As I waited for the scene to unfold, I saw a break in the clouds at the horizon that built my anticipation. It took 9 Minutes from the time the sun started to light the clouds pink to when they turn gray. In those 9 minutes there were about 3 of the most beautiful sunrise I’d seen in a long time. It wasn’t until the lighting was gone that I was finally joined by another photographer, who I’m sure he captured this beautiful sunrise from a completely different perspective. The moment I finished packing up to head out was the moment the first boat went by and rippled the water. I still can’t believe that this morning worked out so perfectly! This was only the beginning of my day. I drove from here straight to Trillium Lake for some recon work, only stopping off for food. I pulled into a parking spot and started eating my sandwich when I noticed a former co-worker and friend pull up, who’s starting to get into photography. First thing I asked was, if he was shooting the cherry blossoms in Portland as well. As it turns out, he had arrived moments after I had left. It’s not a total loss for him though. I’m sure when he looks at this picture he will have learned a valuable lesson about photography. LOL. Trillium is still frozen over, and with the amount of snow they just received, I’m sure it will remain so for a while. The image above was taken last summer, but I never posted it. LOL. After that I drove to another of the 7 Wonders of Oregon: the Painted Hills. It was my first time there and wasn’t blessed with epic lighting, but I enjoyed the beautiful drive and came up with the ideas for my first 2 concept shoots. I’ve never done a concept shoot before, but I’m really excited to give these a try! Stay tuned! Thanks Kaytee! I do sell prints! Just click on Portfolio at the top of this page, and select Landscapes. In the top right, you can see the purchasing options. If you don't want to use PayPal, just send me an email to jeffbarnhart@jeffbarnhartphotography.com and we can make arrangements. Thanks!